During the holidays we spend quality time with family and friends while celebrating our faith and love for those around us. It is also a time where gifts are recognised as being both pleasurable to receive and give. Just for an interesting read, we have found some of the studied science on gift-giving in society today. Enjoy the holiday season from all of us at Aspire Financial Consulting and remember to enjoy all you have been given, as well as your friends and family these holidays. Buying Christmas presents does not make economic sense – it is not a rational social practice. For more than a decade Joel Waldfogel, a professor at the University of Minnesota, had conducted surveys comparing the actual price of a gift to how much a recipient would pay for it. He concluded that holiday gift-giving destroys between a tenth and a third of the value of the gifts¹. In effect, the moment the present is opened, what is inside, on the average, loses about one-fifth of its worth. Christmas is a time of family get-togethers, holiday parties and-gift giving. But how many of us get gifts we like? How many of us give gifts not knowing what recipients want? The reason for poor gift-giving, according to Waldfogel’s book Scroogenomics: why you shouldn’t buy presents for the holidays², is because no one knows our own likes and needs as well as we do, and we do not know exactly what others like or already have. As a result, givers are almost guaranteed to fail at finding that perfect present. Waltfogel’s research shows that non-cash gifts from members of the extended family (grandparents, aunts/uncles) are least efficient and destroy a third of their value. This is because of infrequent contact and less relevant knowledge of the kinds of things the recipient would like. Siblings, parents, friends and romantic partners are the people who know us most intimately and are the most successful givers, resulting in between $0.91 and $1.02 satisfaction for every dollar spent on a gift. Why people keep doing it? 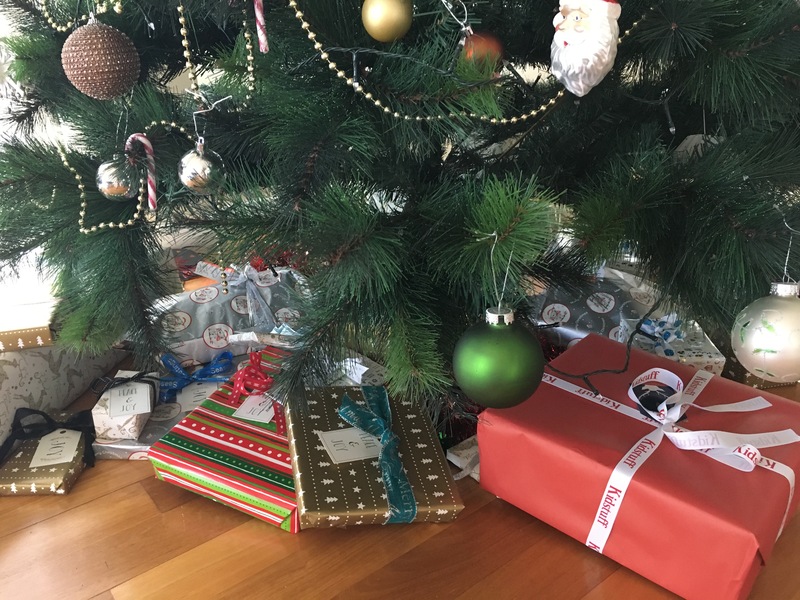 If gift-giving is massively wasteful, why do we persist in it? Gregory Mankiw and Mark Taylor in their microeconomics textbook³ suggest that gift-giving is a mode of “signalling” – it contains private information. In the textbook’s example, a man contemplating a gift for his girlfriend “has private information that the girlfriend would like to know: Does he really love her? Choosing a good gift for her is a signal of his love”. Choosing a thoughtful gift is a way for him “to convey the private information of his love to her”, since it takes time, thought and effort to look for the right gift. A good gift engages and connects with the recipient in a way that reflects a certain intimacy. To give money rather than a well-chosen gift to a friend, girlfriend or spouse is to convey a certain thoughtless indifference. Holiday shoppers are increasingly turning to gift cards that can be redeemed for merchandise at retail stores. Gift cards could be a halfway solution between choosing a special gift and giving cash. They make life easier for the gift givers, and let the recipient choose something he or she really wants. The recipient knows exactly how much you spent, yet it is somehow different from giving money. Perhaps the element of thoughtfulness in this instance is conveyed by the choice of an appropriate store. Gift cards have a form of waste associated with them, as many do not fully redeem the gift card balances. From the standpoint of market reasoning, it is always better to give cash rather than gift. Money, after all, is like a gift card that is redeemable anywhere. Waltfogel suggest that we don’t do it because cash is considered a “tacky gift” that carries a stigma. Stephen Dubner and Steven Levitt in their book Freakonomics: a rogue economist explores the hidden side of everything⁴ offer a similar view that cash gifts are a “social taboo” that “crashes the economist’s dream” of a “beautifully efficient exchange”. Some suggest a way to reconcile the economic efficiency of cash with the old-fashioned virtue of thoughtfulness to give cash with a note to the recipient suggesting that the money could be spent at a particular store, adding the thought that counts. Of course, this does not fully capture the thoughtfulness and attentiveness that traditional gift giving expresses. Sometimes it may be perfectly acceptable to give cash. When you are attending a wedding of a distant cousin, it is probably better to give cash. Your child, who is attending a university course, while also working part-time to cover the food and rent, may be quite happy to receive a cheque for Christmas. He or she would hopefully be assured by your love in some other way, reducing the need to express affection via a thoughtfully selected gift. From the economics point of view, when etiquette allows it, give cash. What it all comes to? It seems that presents are fine for close family and friends. Old-fashioned gift-giving is especially important if you want to communicate feelings to those you love. If you need to give a gift to those you don’t know well and have no idea what the person wants, you are much more likely to destroy value by choosing the wrong present, so cash or a gift card may be the way to go in this instance. This way maybe we can achieve the warm feelings associated with giving without buying a lot of stuff people don’t want. ¹Waldfogel, J. (1993). The Deadweight Loss of Christmas. The American Economic Review, 83(5), 1328-1336. ²Waldfogel, J. (2009). Scroogenomics: why you shouldn’t buy presents for the holidays, Princeton University Press, New Jersey. ³ Mankiw, G. and Taylor, M. (2006). Macroeconomics, Thomson Learning, London. ⁴Levit, D. and Dubner, J. (2005). Freakonomics: a rogue economist explores the hidden side of everything, William Morrow, New York.